US Passport, Legal Resident card, Certificate of citizenship or naturalization document. Need Help signing up for healthcare coverage? Let us help you find the right plan for you. We have On-site Medi-Cal Eligibility. 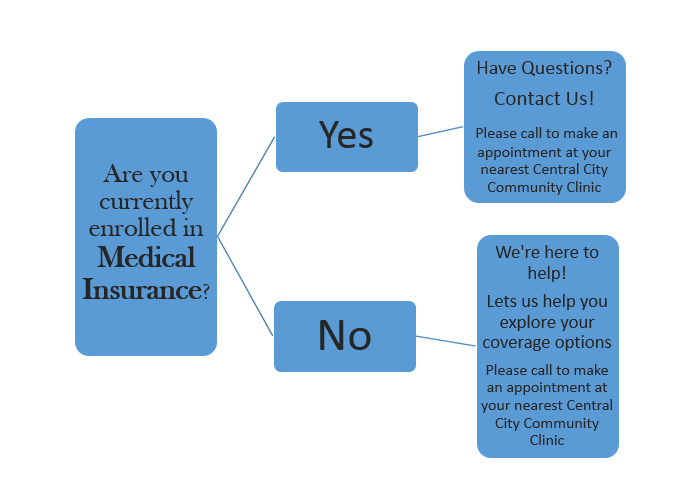 Please call to make an appointment with our Call Center (866) 332-9550 or from the list of the nearest Central City health center. You may fill out this contact form for further assistance. This practice serves all patients regardless of inability to pay. Discounts for essential services are offered based on family size and income. For more information ask at any of our clinics.